Who said that rug is only to be placed on floors?? I am breaking the rule! 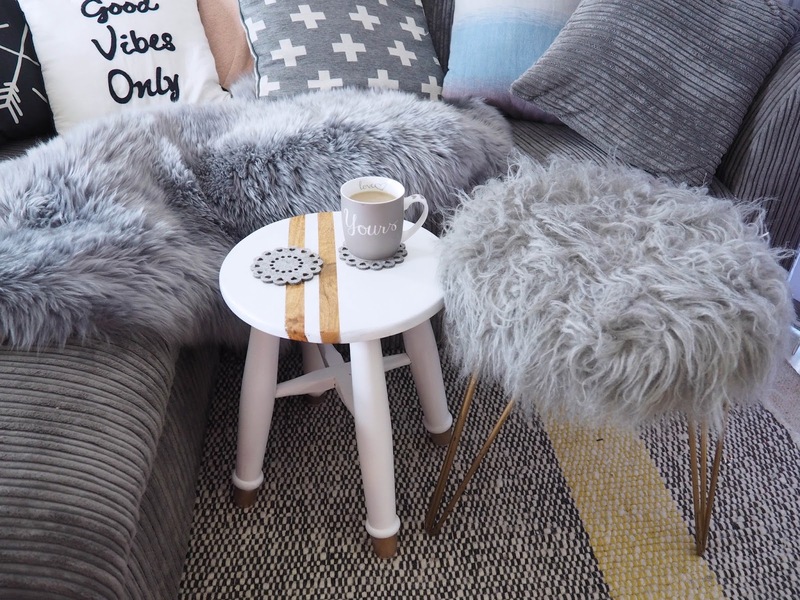 I have styled Matalan Direct sheepskin rug 3 ways to show you what else you do with it! 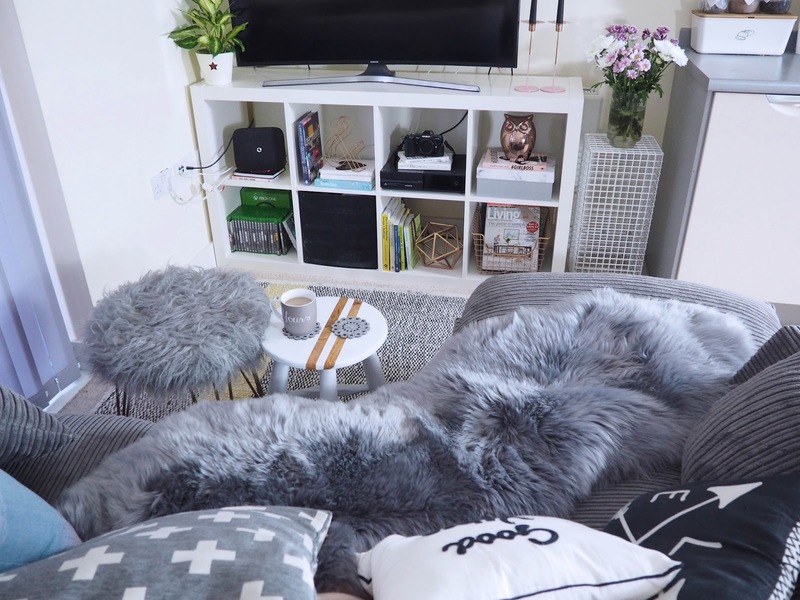 Last month, I have posted about my Living Room update, but I wasn’t entirely happy with it just yet, so you can you see My weekend DIY post where I started making small changes again! I just have that itchy thingy in my hands that I can’t stop until I am 101% happy! 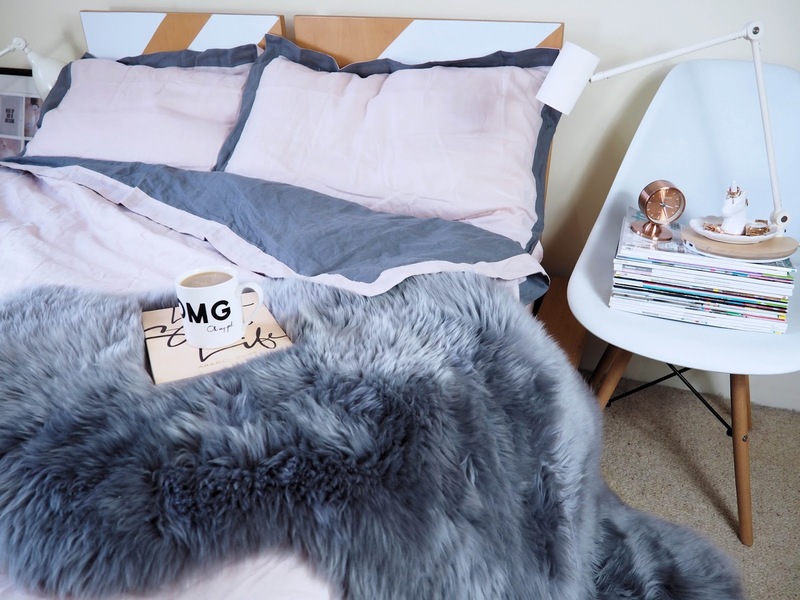 Styling it’s the best part of revamping my pad and today, I took MatalanDirect challenge and styled their beautiful sheepskin rug in 3 different areas of my home. I love sheepskin, is super comfy and warm! Unfortunately, my cats’ love it too, so it took a good persuasion (called half a can of treats!) for them to kick their little furry butts, so I can photoshoot the place! 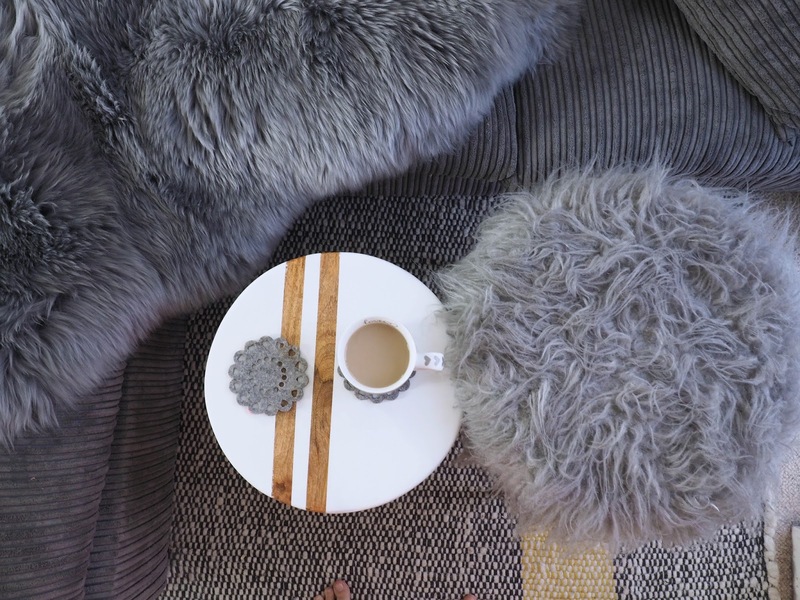 The first place I have chosen for my styling my Matalan Direct sheepskin rug was my living room. It was just a natural choice, as my new sofa is grey, plus currently, Manchester unlike any other part of the world is preparing slowly for the Autumn in the middle of August. I know, not what we would expect from Summer just yet, but outside is quite cold plus days are getting darker, so I like to cosy up my home for relaxing evenings. 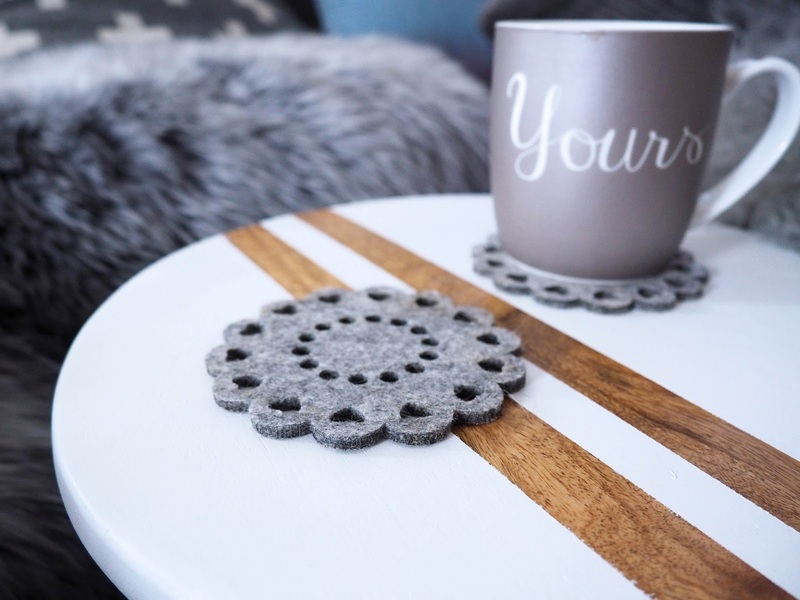 I have played around with the rug, placing it first on the floor, but I already have there my lovely Habitat rug, so I wanted to challenge myself and use this sheepskin rug different ways. My sofa is a second-hand purchase, so is quite full of imperfections like misshaped cushions. 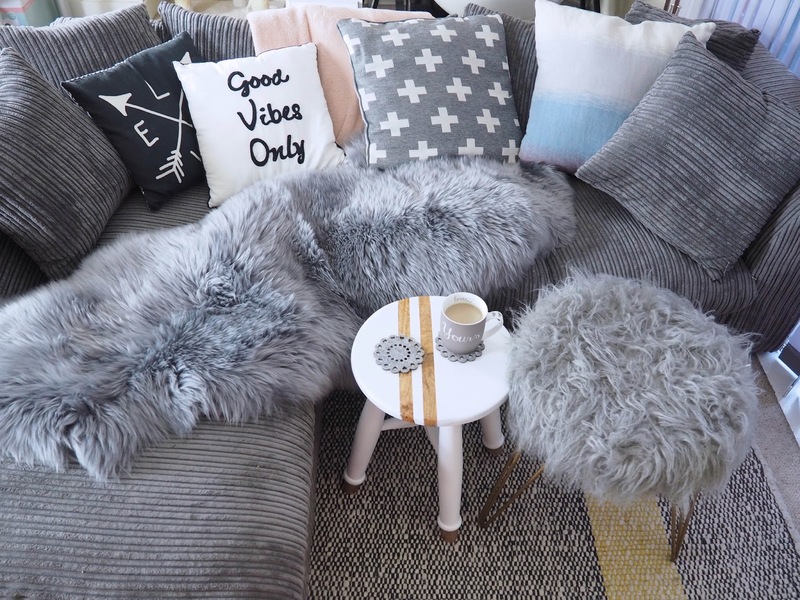 MatalanDirect sheepskin rug is quite chunky and once I covered the sofa, it not only added texture and style but also it perfectly covered the sofa imperfections. I totally loved the outcome! Next place, was my home office. I already had white sheepskin rug there I previously bought on Ebay, but I made the mistake of ordering a white one and over the years, it lost the natural fluffiness and got a little dirty. Here, I blame the cats! They used this chair as their sleeping pad if I am not around leaving their own trace of fur and saliva, bleurgh! I have swapped the rug and I was very pleased with the result. 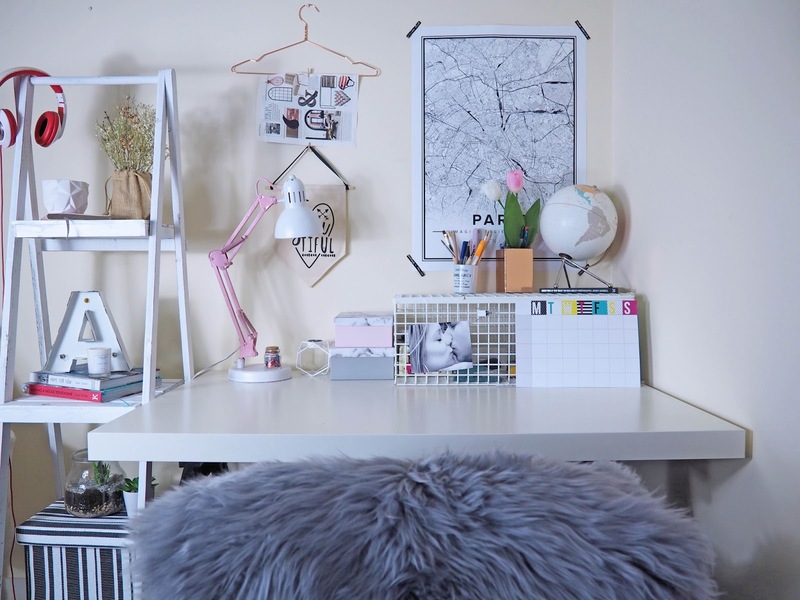 The soft grey colour of the rug and pretty impressive large size covered the chair, making it a super comfy for me to spend hours a day working! My bedroom was an obvious choice for styling my rug as well. I already had white one on the floor, so again I wanted to add something slightly different. I usually have a nice throw there, but here I wanted to create something cosier. I used the rug instead of my throw, and it worked great. 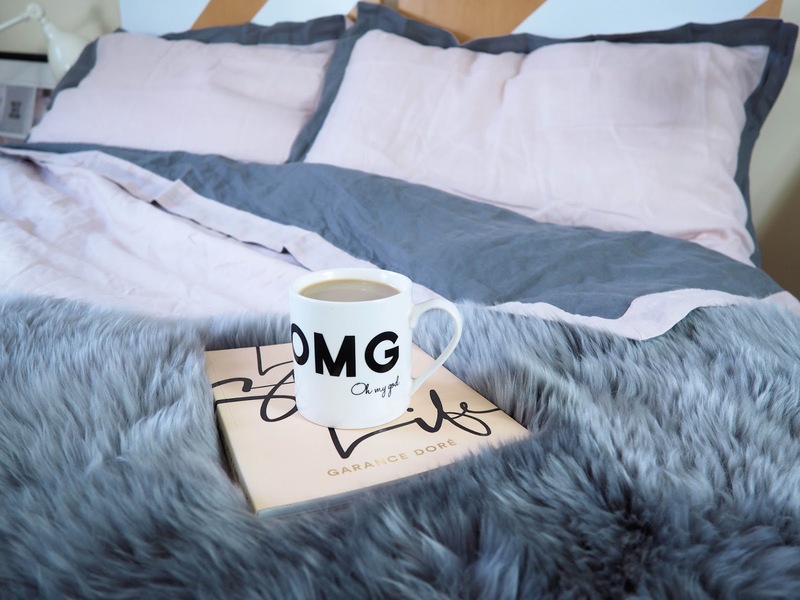 This sheepskin rug has really soft underlay so it can be easily used as a throw. 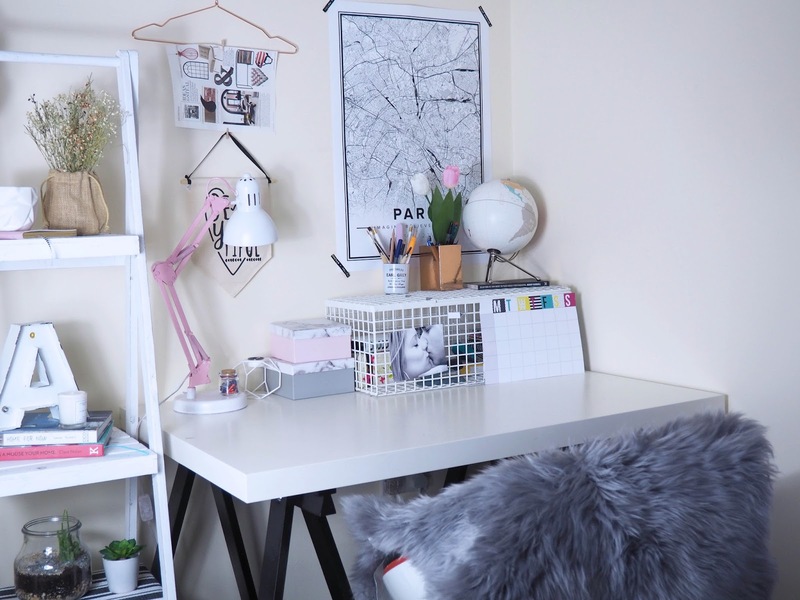 Once my bedroom was styled, it was just so satisfying to take pictures of the layout! 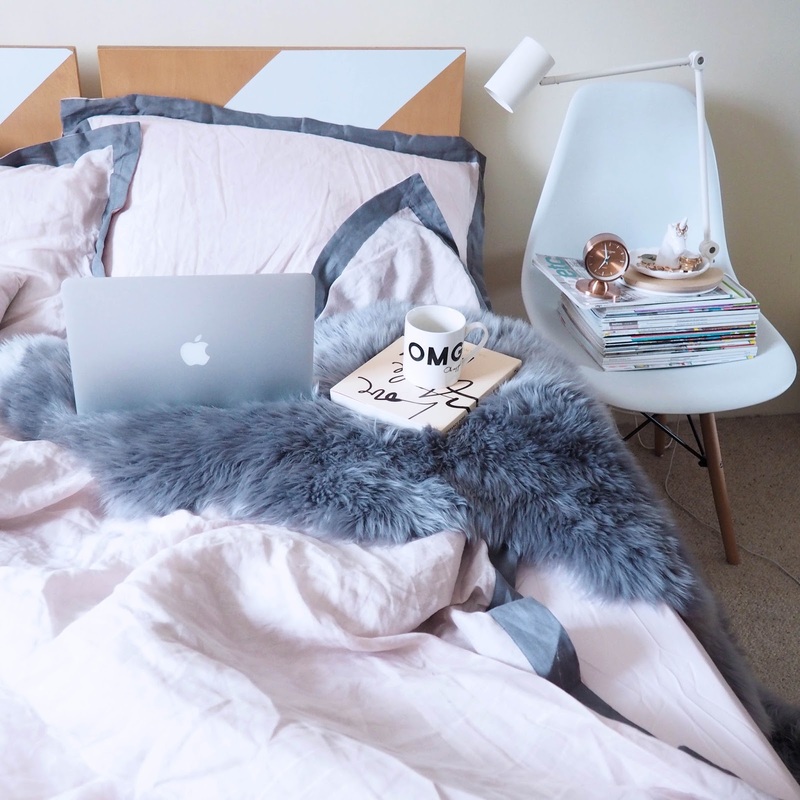 This combination of soft wood, pastels pink with the textured grey, ended in perfect harmony with rest of my home decor. How do you like my rug? Would you take on this challenge? Your whole room is gorgeous! 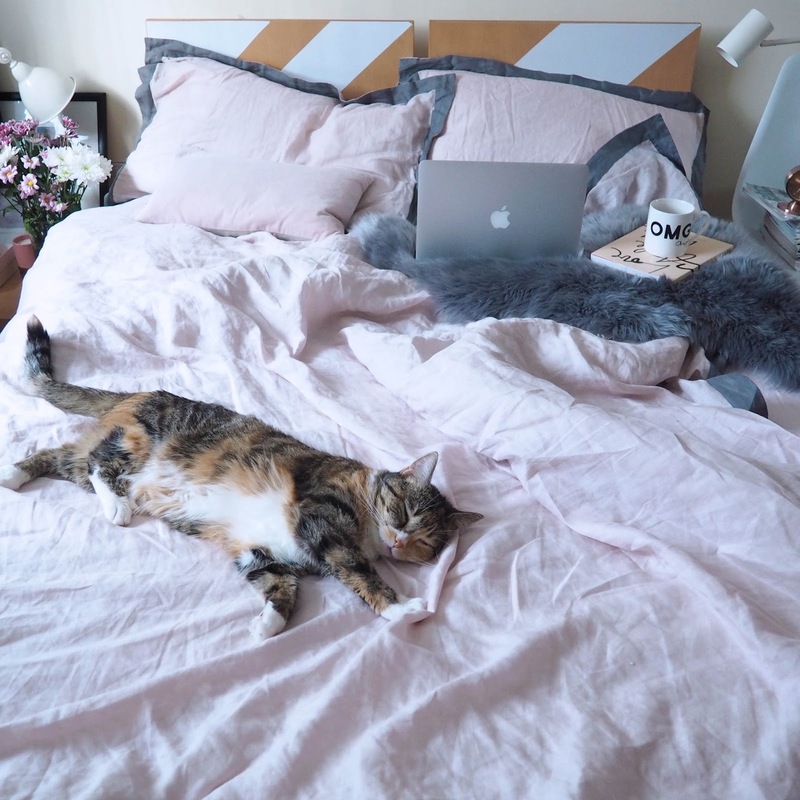 love it on your bed best with the cat!